Left-to-Right: Maria Olson-Mission Flavors, Dr. John Miklavic—Chapman, Dr. Prakash—Chapman, NAFFS Scholarship Committee Co-Chair Patrick Imburgia-Mission Flavors, Esteban Calderon-Recipient, Chapman, Tiffany Yang-Recipient, Chapman, Maria Meza-Verdesoto-Mission Flavors, Dr. Lilian Ware-Chapman, Kirsten McCraw-Mission Flavors, Lauren Mayberry-Mission Flavors, Paul Loskutoff-Mission Flavors, Brenda Hannon-Mission Flavors, Mina Santos-Mission Flavors, Shayna Bosko-Mission Flavors. 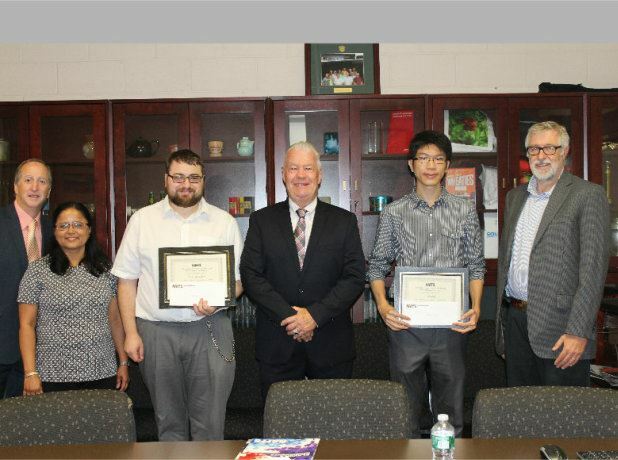 Left-to-Right: NAFFS Scholarship Co-Chair Arthur Curran of Citrus & Allied Essences, with Cornell University recipients Jacob Tannenbaum, Luong Mai and Ola Esho. 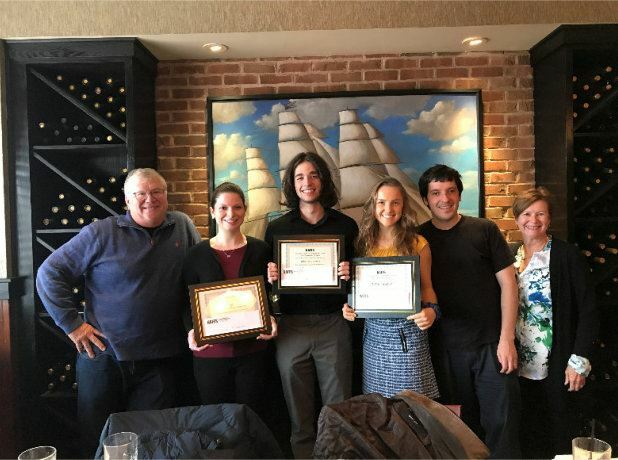 Left-to-Right: NAFFS President John Weaver of Kalsec, recipients Elizabeth Marie Kurburski, Lukas Scot Laramee and Ellie Harm and members of the university faculty. 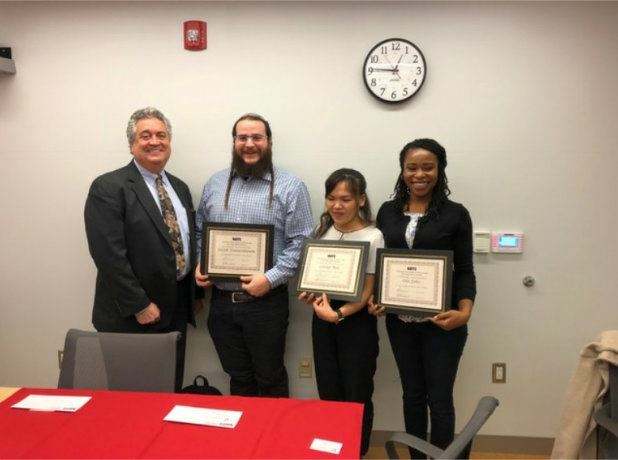 Left-to-Right: NAFFS Executive Director Bob Bauer, Dr. Chitra Ponnusamy, Undergraduate Director, Rutgers University, Benjamin Lebow, undergraduate recipient, NAFFS Scholarship Committee Co-Chair Al Roth of Sethness Products, graduate student recipient Carey Zent and Graduate Director Dr. Donald Schaffner, Rutgers University. Provide highly qualified food scientists and nutritionists for the food industry workforce. NAFFS thanks the generous companies participating in the Scholarship Awards Program. Become a Scholarship Sponsor here. 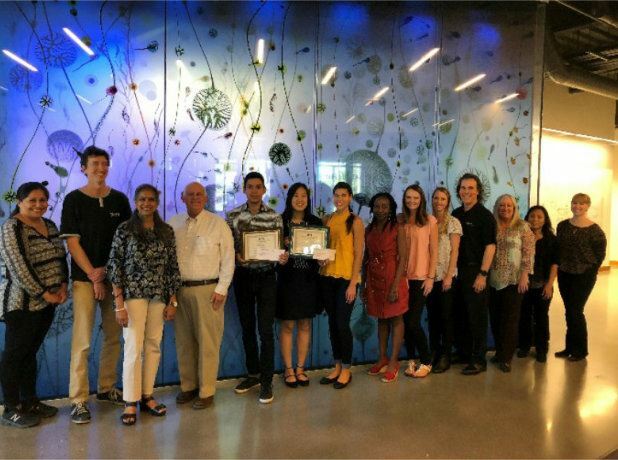 Please contribute to this valuable program so we can continue to attract the brightest students and support the future of our food industry workforce.